As the investigations involving K-pop celebrities — namely the Burning Sun and Jung Joon-young cases — have exploded internationally due to their seemingly infinite layers of intrigue, corruption, and collusion, President Moon Jae-In has called for a thorough investigation of the cases. Notably, as a result of him including and speaking of Jang’s case, which was to close at the end of March, it has officially been extended by two months to May. Even so, a decade has passed since the case first started in 2009 and the 15-year statute of limitation regarding sexual crimes may still be upheld. The renewed momentum into the Jang case seems to have little effect on Yoon Ji-oh, an actress and friend of the late Jang. In particular, Yoon is one of the only people to come forward as a witness to abuse that her friend endured at the hands of powerful men. Furthermore, since revealing her identity in the process of this reopened case, she has continued to pursue justice with unwavering passion and purpose aided by those seeking a just end to the investigation as well. On the same day as President Moon’s announcement, Yoon took to social media where she expressed her gratitude. Today for the first time in a long time, since my past 15 testimonies, I see the light,” said Yoon. “I have so much gratitude and respect for all of you. Although I am lacking and weak you all have protected and supported me” and “I will continue to testify in good faith,” she said, thanking the president and her advocates. 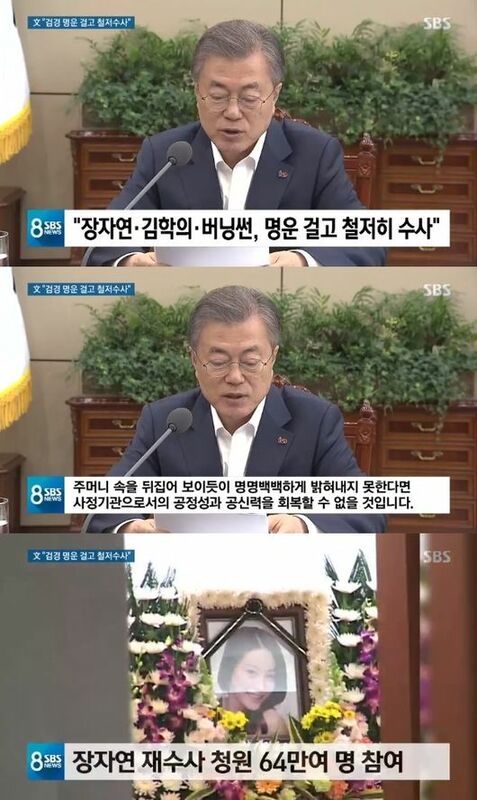 The attention brought to the matter by President Moon, the country’s most public political figure, is an answer to concerns that Yoon voiced last week. 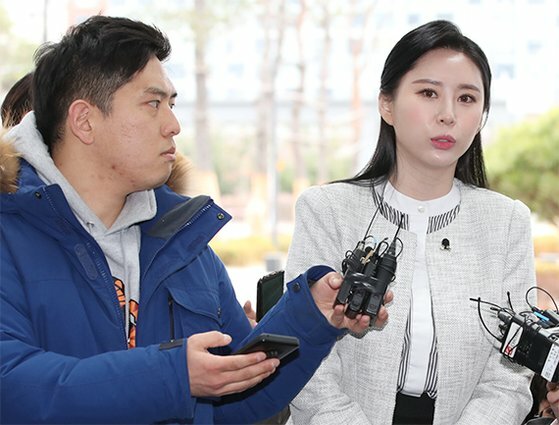 After attending a session with investigators where she provided her 14th testimony on the Jang case, Yoon expressed consternation over the lack of media and public attention. “Each time Jang’s case comes up it is overlooked, but please pay more attention to it,” she said. As Yoon continues her public campaign for truth, it is yet to be seen whether the same energy will be transferred to prosecutors and the court where justice will ultimately be tested.